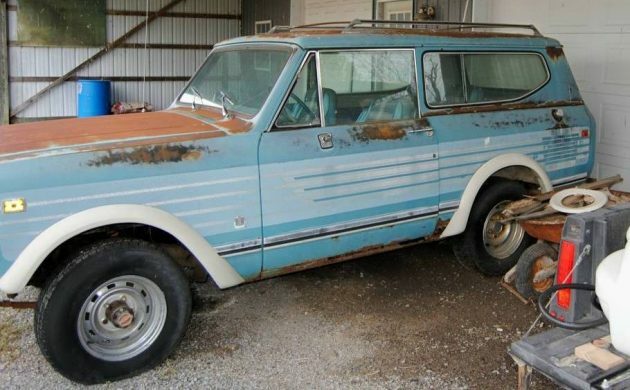 Finding an International Scout II as a project isn’t hard to do. Finding one intact is a little hard to do and finding one intact that is a special edition is even harder to do. This one found here on craigslist in northeast Oklahoma is definitely a project, but one worth considering. 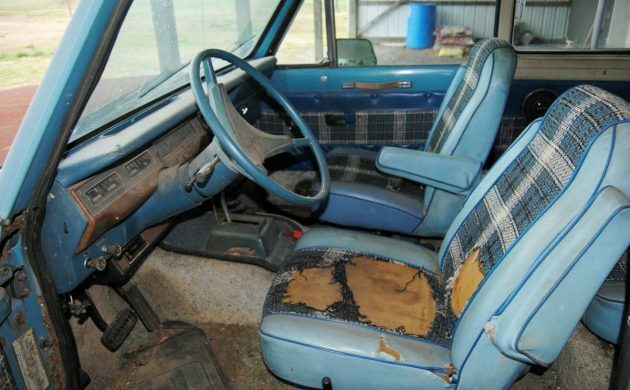 The seller states that this Scout II has the usual rust. Speaking from personal experience, these Scouts are incredibly hard to find without rust. After replacing large sheet metal sections of a Scout II for a client I found out why the rust free versions are so desirable. Without many detailed pictures it’s hard to tell just how much rust repair this particular Binder would need. There is an upside to this project, though, in that it’s a unique edition – the Midas Edition. International would send these Scouts to Midas Van Conversion Company in Elkhart, Indiana, to get special treatment in the form of swivel bucket seats, shag carpet, and dual sunroofs, just to name few of the options. The result would be a unique Scout II unlike the common versions. The one listed here has a clean title and appears to be in somewhat original condition. The best part is that the $2,000 asking price isn’t too high. Would this be a special enough project to invest the time and money to bring it back to its original glory? I had one that had a factory camper. It was rough so I hacked it up and made a snow runner. I’ve had two scouts, great trucks! 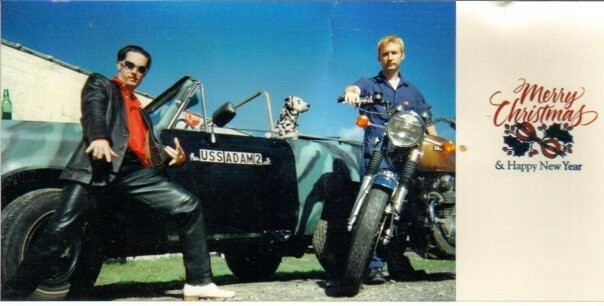 Although I’ve never owned a Scout, I’ve spent many miles traveling in ’em both on and off road; always liked the model. Something really should be said that this was the 1st luxury SUV, and started a revolution, that continues today with the crossover’s. The History channel is doing the “Car Week” special, and even they acknowledged that fact. Rare doesn’t make it valuable, as not many people wanted them then, or now. ( as evidenced, for 2 g’s, this truck should be long gone) They just couldn’t shake that “semi truck” image. Personally, I like them. Way ahead of it’s time, too bad management didn’t see it that way, and concentrated on their heavy truck market, which in these years, IH was the king. Lot of Scouts here in Colorado, prices are about like this, little more for a nice, running one, but if you could find the parts, when done, you’d have one of the nicest SUV’s made, I think. I’m totally with wazjeep on this one! FSJ’s started in late ’62 and could be optioned pretty nicely from the get go (and only got better as time went on). 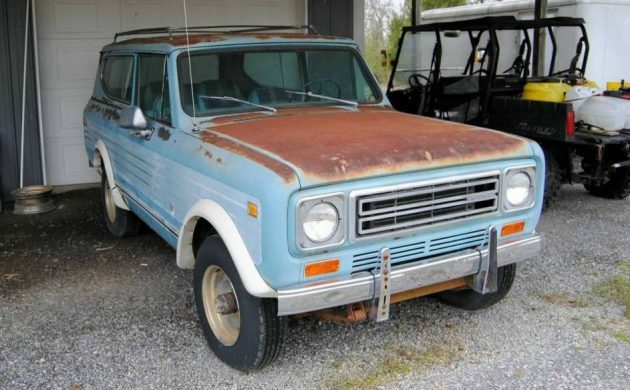 By ’66 you could get a highly optioned x1414 / Super Wagoneer package with every option you could want, where as the much smaller Scout 800 was pretty bare bones (just like a CJ Jeep) at that point. It wasn’t until the Sout 800B’s in the very early 70’s and the Scout II’s, like this one, that they started to get a little more luxury/sport oriented. Win for the Jeep by a decade. Besides, Scouts were never know for their creature comforts. And yes, you’re possibly biased against Jeeps based on some of the expieriences you have related on here before, lol. The Wagoneer was the first Civilized SUV, period. 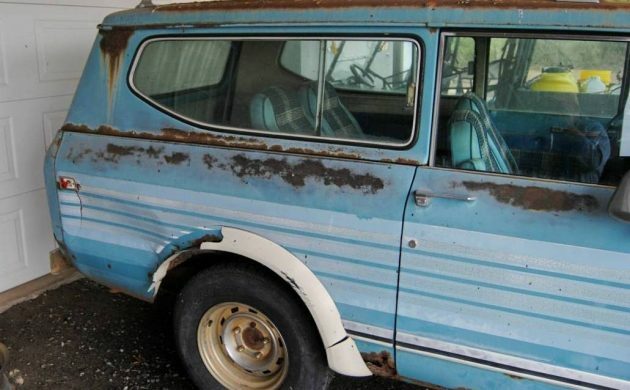 The ’66 Super Wagoneer was the first Luxury SUV, period. 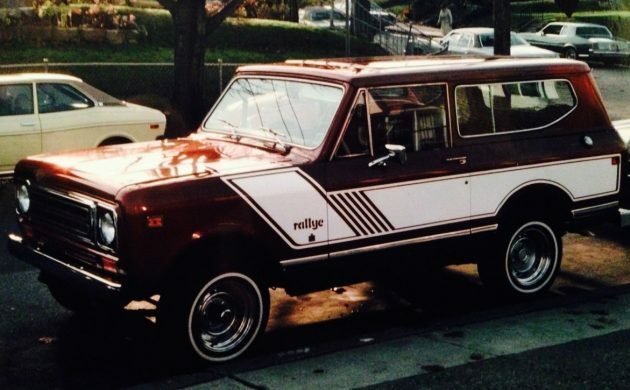 The ’78 Wagoneer Limited was the first ultra luxury SUV, period. Early Range Rovers were not that luxurious, and weren’t available in the US til the late 80’s. (’87?) All that being said, I still love these Scouts and would love to have one. This one would be considered “solid” here in the Northeast. drive this rig ’til hell won’t have it. Back in the day if you saw one of these on the road, more likely than not, it was an employee of IH driving it. I know, I was one. Great vehicle! You don’t see many Midas Scouts in blue. I’m sure it was a beauty when it was new. I grew up with this one. Someday I’d like to get another. Sorry if you’ve seen this pic before. I like to share it whenever a Scout listing comes up.